The history of gaming phones goes back to the early 2000s when Nokia launched the bizarre N-Gage, which was specifically designed to play mobile games. After a long break, the gaming smartphones are making a comeback with the launch of a new line of more powerful devices such as the Razer Phone and Asus ROG Phone. Xiaomi has joined the competition as well with the Black Shark, but major smartphone vendors like Apple, Huawei, and Samsung have yet to launch a gaming smartphone, even though some of them tried to advertise their top-tier handsets as such. Well, it looks like Samsung is doing something about that, although we're not quite sure that the South Korean giant is on the right track. 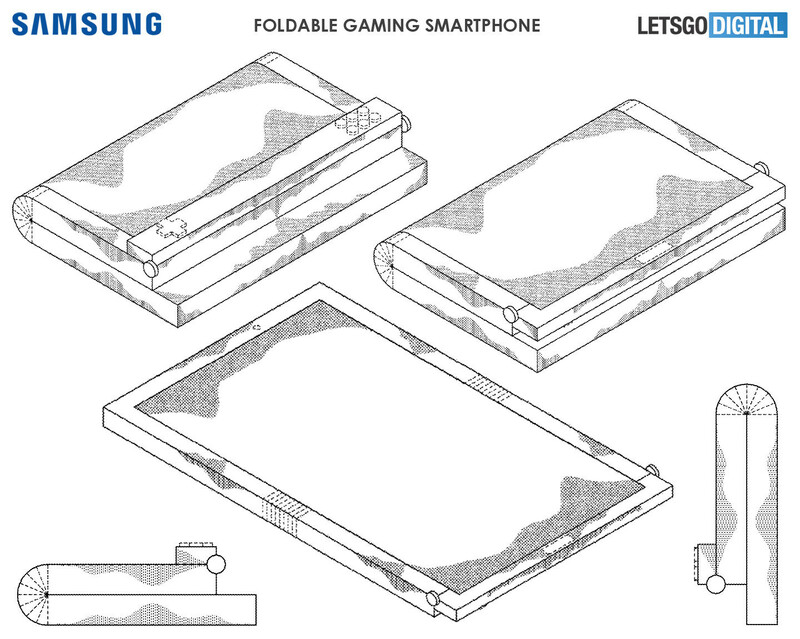 Samsung Display recently filed a patent for what appears to be a folding and gaming smartphone at the same time. When unfolded, the device shown in the images recreated by LetsGoDigital looks very much like a tablet that features a D-pad controller to the bottom left and a set of buttons on the opposite side. The device allows users to play even when it's folded, but the on a smaller display. Overall, Samsung's device looks very awkward and unlike anything we've seen on the market until now. It's probably larger than a portable console like the PlayStation Vita but slightly smaller than the Nintendo Switch. Gaming smartphones are still niche products, but the route Samsung seems to be taking with its recently patented device, even if it's bold, has more disadvantages than benefits. 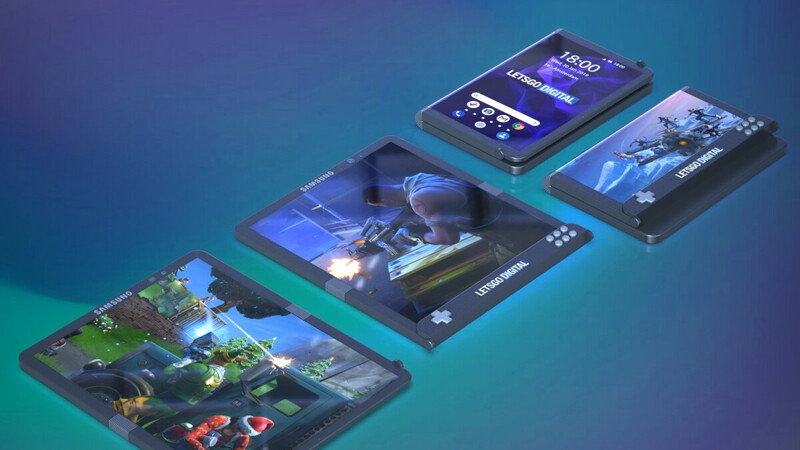 If Samsung plans to launch the device in these images, it will probably be very expensive and very hard to sell due to the competition with Nintendo and Sony's portable gaming consoles, even though the Vita is no longer in production. Samsung's foldable tech looks amazing! We have our hope ups for those mobile gaming in bigger screens(optional) and with physical buttons(optional) at the same time. keep it up! Sammy! Do not forget to add good battery life and faster charging, too! I wonder why even bother, tech is cool, but games for Android or iOS are pathetic compared to any console ... even compared to OG Gameboy. You haven't looked at a mobile game since 2012 have you? It's become a 70 billion dollar industry, mobile games account for the majority of app revenue, and there are numerous console games available. I don't care for touch controls, but connect a bluetooth controller and you have something superior to any older console or handheld gaming device. Apple has the best CPU and GPU than any mobile ARM chipset. So why isn't the iPad and iPhone considered a gaming phone? Gotta hand it to Samsung with their infolding displays. Really love this method compared to the outfolding displays of other companies. Hope to get my hands on the Samsung foldable smartphone real soon.